Oil Eater Cleaner/Degreaser is a water-based, fresh-scented, biodegradable cleaner that effectively replaces flammable or combustible solvent cleaners. It contains no hazardous chlorinated/fluorinated solvents or acidic type chemicals. 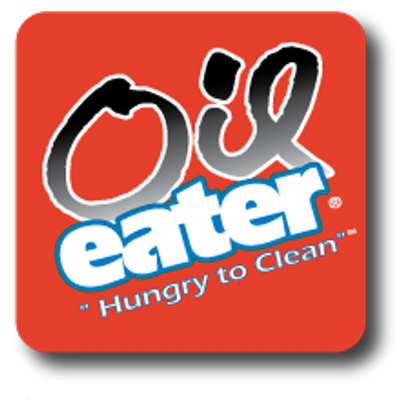 Oil Eater’s formulation safely accomplishes the cleaning that previously required solvent or acid cleaners and exposed the user and the environment to the inherent hazards of such chemicals. This unique formula of non-ionic surfactants, emulsifiers, water softeners and other biodegradable ingredients cuts through oily and greasy dirt, encapsulating the oil and dirt into a solution that can easily be rinsed away. Innovative, practical and durable, OIL SAFE lubricant transfer containers are the global standard of choice for industry, having proven themselves as extremely reliable and critical to best practice lubrication programs for well over a decade. Color coded and fully sealing, OIL SAFE lubricant transfer containers ensure the accurate delivery of clean lubricant from bulk storage to point of use every time. To ensure the right lubricant goes to the right point every time consider integrating with the LABEL SAFE system. Air Sentry® Contamination Control Breathers are used worldwide in major industrial, mining, military, power generation, and fluid storage applications. They remove water, solid particles, and other contaminants from air being breathed into reservoirs, transformers, storage tanks, and gearboxes. The service life of equipment and fluids is greatly extended when protected by an Air Sentry® Breather. Most gearboxes, transformers, and hydraulic reservoirs have a simple breather/filling cap that allows air to be breathed in and out as fluid levels change or temperatures increase or decrease. Standard breather caps do not stop water vapor and other harmful contaminants from entering the system. 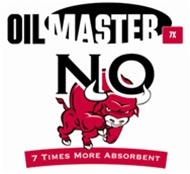 There is an OilMaster granular absorbent for every application. Our eco-friendly, non-carcinogenic absorbent products, developed at Cornell University, have been designed to work well in a variety of environments. Based on your needs, one or several of the OilMaster absorbents below will effectively meet your oil, gasoline, diesel, lubricant, etc. spill control needs.